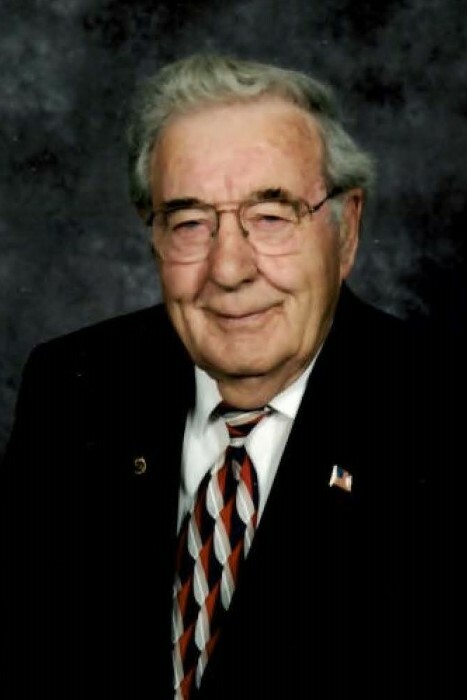 Eugene E. Dauenhauer, 87, of Mandan, passed away on June 11, 2018 at Sanford Medical Center. Mass of Christian burial will be held at 10:30 a.m. on Thursday, June 14, 2018 at St. Joseph’s Catholic Church, Mandan, with Rev. Shane Campbell as celebrant. Interment will follow at the North Dakota Veterans Cemetery with full military honors provided by the VFW Post 707 and the American Legion Post 40. Visitation will be held on Wednesday, June 13, 2018 from 5:00-8:00 p.m. at Weigel Funeral Home with a rosary by the St. Anthony Verein at 7:00 p.m. and a parish vigil at 7:15 p.m. Visitation will continue one hour prior to the service at the church on Thursday. Eugene was born on May 23, 1931 to Joe and Emma (Meyer) Dauenhauer in Richardton, N.D. Shortly after, he moved with his parents to Killdeer, N.D. where he attended school. At the age of 7, Eugene started working at Wetsch Grocery Store in Killdeer, working for twenty-five cents a week and a dozen oranges. He worked there until the age of 17, when he entered the U.S. Navy. 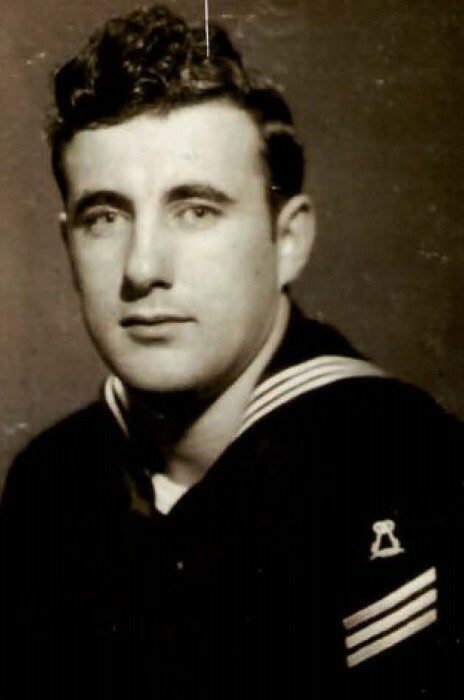 He proudly served in the Navy from June 2, 1948 until he was honorable discharged on May 27, 1952. He received his boot training at Great Lakes, Il, and marched in Soldiers Field in Chicago, which earned them 30 days leave. From boot camp he was transferred to Boston, MA. and served on the light cruiser USS Datton, where he began his career as a cook in the commissary division. After 6 months on the USS Datton, he was transferred to Green Cove Springs, Florida to serve on a troop ship. When the Korean War broke out, he was transferred to Newport, Rhode Island to serve aboard the USS Tarawa CV-40 aircraft carrier. Upon his discharge, he was awarded the Navy’s good conduct medal while serving on the USS Tarawa CV-40. In June, 1952 he moved to Bismarck, ND and worked for National Tea Company as a meat cutter, which is where he met the love of his life, Frances Schwartzbauer of St. Anthony, ND. They were married on October 27, 1952 and to this union, one son, Daryl was born. Eugene managed Brown’s Meat Market for a while and then went into the building industry as a carpenter and cement finisher. He worked for Anderson Guther and Carlson Construction for many years until his retirement. Eugene was very active in the Mandan Legion Post 40 and was on the original building committee. He was also post commander in 1974 and received the Legionnaire of the Year award in 1994. He was 1st vice commander membership chairman for baseball committee and entertainment committee. He was a member of the Moose, Eagles, AMVETS, the St. Anthony Verian, and was a life time member of the VFW. Eugene will be forever in our hearts and deeply missed by many friends, family, and neighbors who love him. Eugene will be deeply missed by his son, Daryl, of Mandan; his sisters, Betty Carrier, of Idaho, Lori, of Missoula, MT, and Lorraine Gerhardt, of Missoula, MT; numerous brothers and sisters-in-law and nieces and nephews. Eugene was preceded in death by his parents, Joe and Emma Dauenhauer; his wife, Frances; sisters, Gladys Brandi, Deloris Klein, Violet Keller, and Helen Marquart; and brothers, Felix, Alfred, and infant brother. In lieu of flowers, memorials may be made to the North Dakota Veterans Cemetery. Go to www.weigelfuneral.com to sign the online guestbook and view tribute photos.